Many of the suggestions I received were all in Montauk so we decided it made the most sense to just spend the entire day there on Saturday. We were warned ahead of time that traffic in the Hamptons is crazy (there’s only one main ‘highway’ that runs through the area) so we left the city around 8AM and made it there in about 2.5 hours. Thankfully we left as early as we did because as we entered Southampton (one of the first towns you hit as you enter the Hamptons) the traffic and congestion really picked up. It took about an hour just to drive the 40 miles that separate Southampton and Montauk. So before I get into the guide two small disclaimers! 2. We rented a car! Taxis and Ubers in the Hamptons can be expensive and have long wait times so to get around it made much more sense to have our own vehicle. Nick was dying for some caffeine after the drive so we headed straight for Sagtown Coffee in the heart of Montauk. 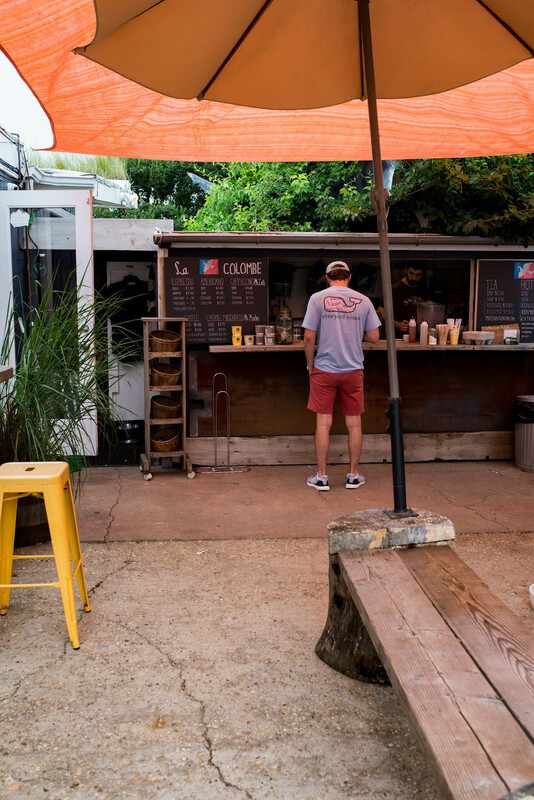 It’s a cute little outdoor spot with benches and barstools that offers standard fare like cappuccinos, lattes, iced coffee and tea. It definitely hit the spot! After grabbing coffee, we hopped back in our car and drove about 10 minutes further on Montauk Highway to check out the lighthouse. I was dumb and should’ve looked up more info about it ahead of time because it cost $8 to park and then to even walk up to and tour the lighthouse it’s another $11 per person. Nick and I really aren’t museum people (short attention spans LOL) but we decided it was worth it to pay the parking fee so we could hop out to see the view. It was a shame that the weather was cloudy because I bet on a clear day it’s absolutely beautiful. It was really breezy too, but I’m glad we stopped because there were some really great photo opps despite not walking all the way up to the lighthouse. 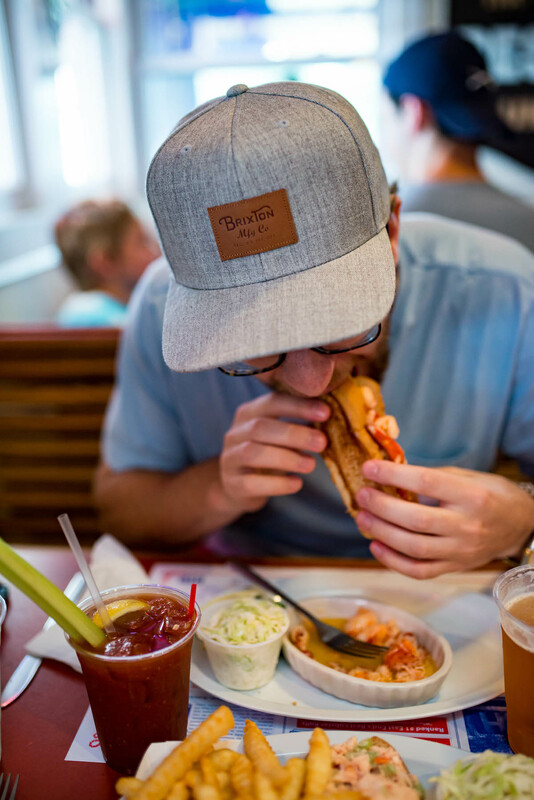 Okay so it may technically be in Amangansett, but there’s absolutely no missing the famous Lobster Roll Restaurant off of Montauk Highway. Anyone else watch The Affair on HBO? Well Nick and I are big fans so having lunch here was an absolute must-do for us. They don’t take reservations so we made sure to arrive around opening at 11:45AM. We were seated right away and almost immediately after ordering the most delicious overflowing plates with buttery buns filled with fresh lobster were placed right in front of us. I’ll seriously be dreaming about these for the rest of the summer!!! 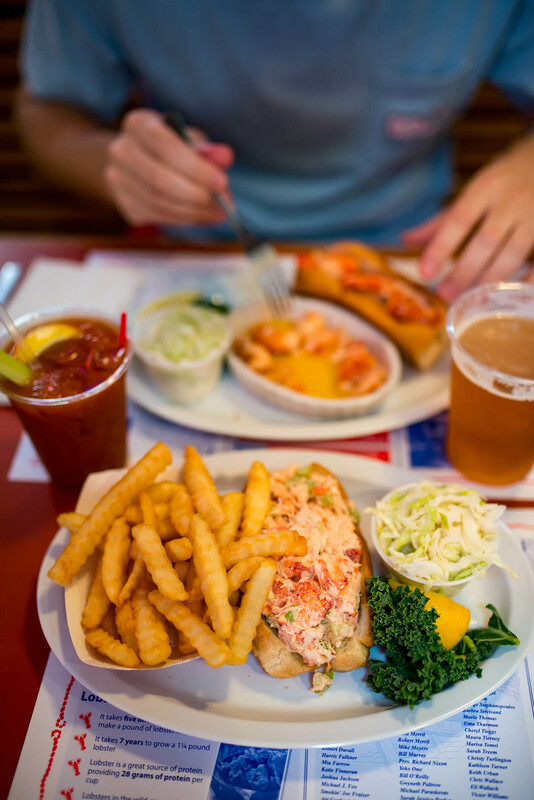 I ordered the classic lobster roll (cold with mayo, celery & seasoning) while Nick got the hot preparation (warm lobster covered in hot butter). Of course I had to have a bloody mary too while Nick got a local beer. Needless to say we both left with a food baby though Nick said he could’ve eaten 5 more servings. 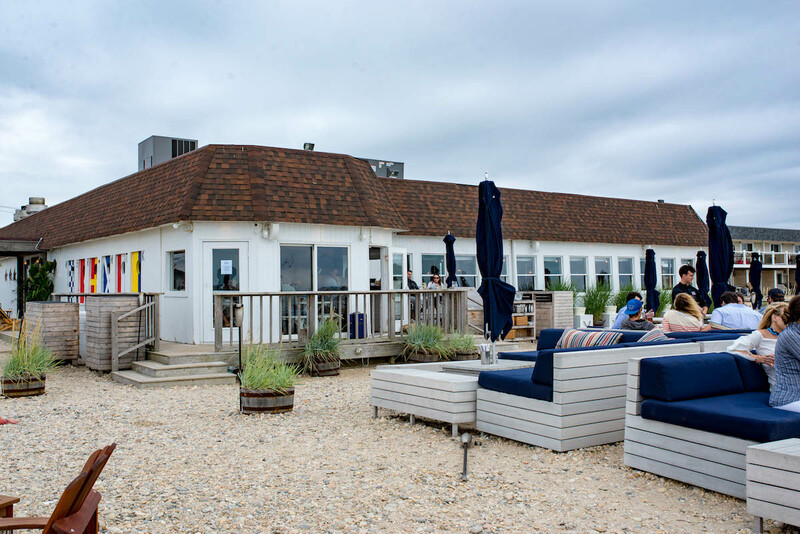 Navy Beach came highly suggested so we headed here for our second lunch of the day 😛 It’s an indoor/outdoor eatery and bar located guess where: Montauk’s Navy Beach. We sat inside (it was too breezy on the beach) and the atmosphere was lively with lots of groups. There was a big menu with lots of small plates (our favorite way to dine) and of course an extensive cocktail list. I got another bloody mary, though should’ve tried one of their signature cocktails. My drink was good, but not memorable. 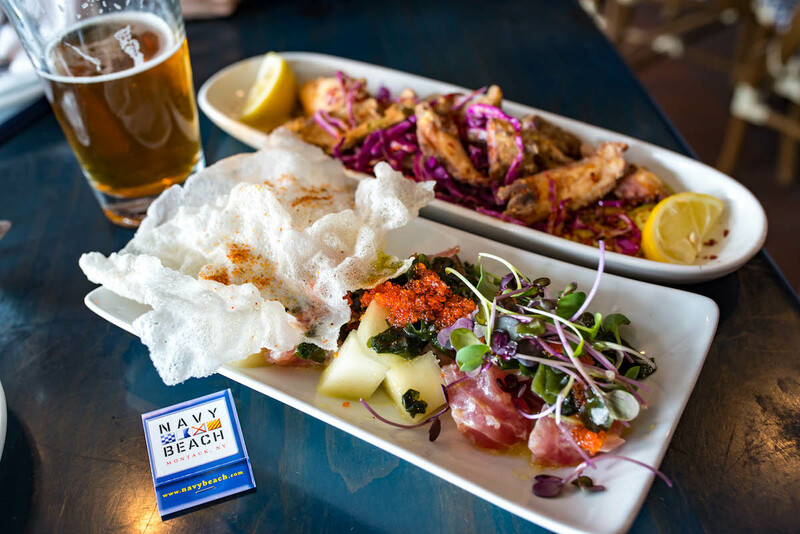 Nick and I then split the tuna crudo and grilled octopus– both were delicious. After eating we perused the outdoor seating area by the beach. it was such a shame the weather was crap because it looked like a really cool place to hang out. Next time! So many people had recommended The Surf Lodge and while popular club-type places aren’t our thing I figured we should at least stop in for a drink to see what all the hype was about. So I knew it was a hot spot but I thought if we stopped in at an awkward time like 3-4PM we wouldn’t have any issues grabbing a cocktail. Well WOW was I wrong. As we walked up to the entrance we were stopped by security who told us that unless we had a dinner reservation or were planning on buying a table with bottle service at a $2,500 minimum we couldn’t be serviced. We didn’t even bother just trying to make a case for ourselves and just left. I could understand if we were strolling in at 10PM but at 3:30PM? The whole encounter just felt really elitist and left a bad taste in our mouths. After our fail at The Surf Lodge, we decided it was time to head somewhere more low key. After looking at my list of recommendations we decided on Montauk Brewery. It was busy (clearly a lot of people had the same idea as us) but way more casual and our speed. There were even some families with children. It’s not a big brewery and there isn’t any seating (besides two small tables inside) but we didn’t mind standing in the outdoor courtyard sipping on our brews. I had the watermelon ale and it was amazing. So so good and refreshing. Fast forward a few brews later and I was hungry (again). It was late afternoon at this point and we didn’t have time to sit down for another meal because I had to attend a brand event in East Hampton (will talk about this more in part 2 of my recap next week!) 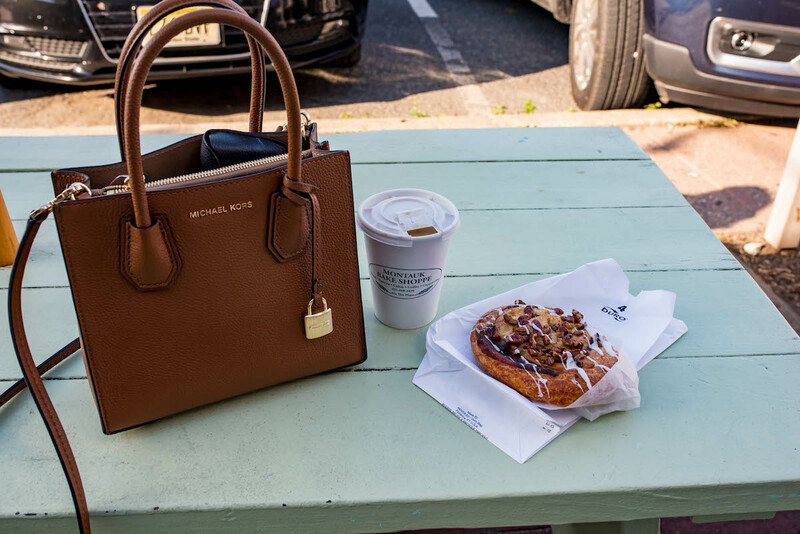 so we popped in quickly to Montauk Bake Shop for a hot coffee and some sweets. I probably didn’t need that cinnamon roll, but I left with absolutely no regrets. 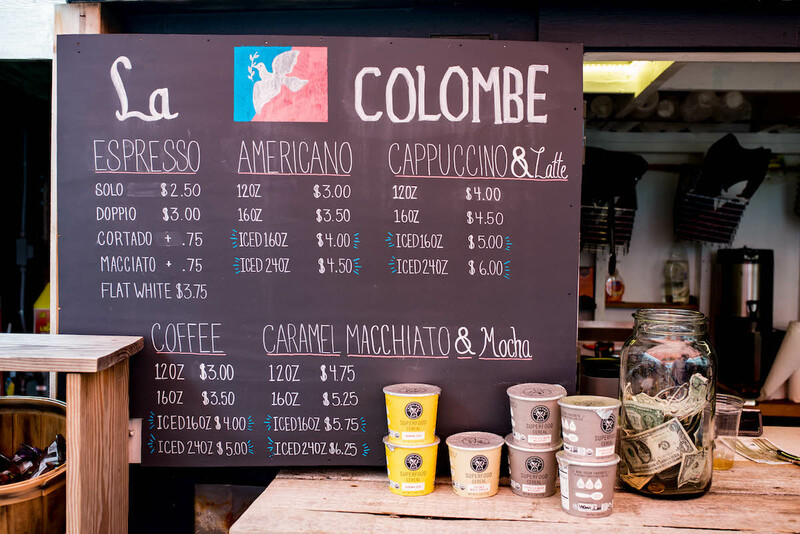 Compared to the rest of the Hamptons (part 2 of my guide is coming next week!) 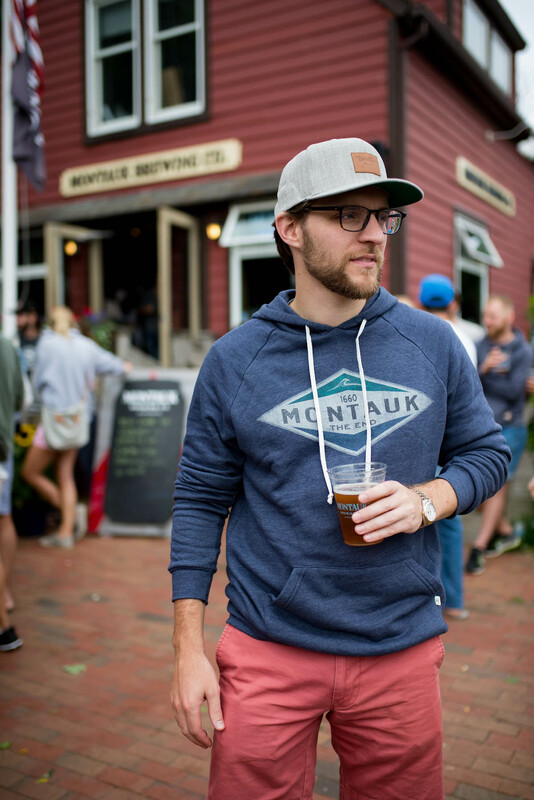 Montauk definitely has a younger and hipper vibe. We noticed lots of groups in their 20s and 30s, similar to the type of people you’d encounter at a nightclub in the city. Despite the crappy weather, we couldn’t believe that peeps were still dressed to impress. 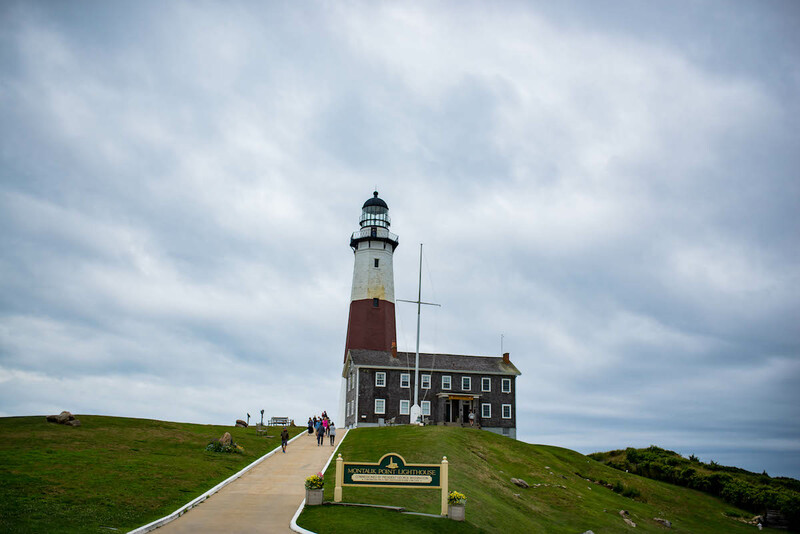 Also please correct me if I’m totally off base with this, but we didn’t think Montauk was very “pretty.” One of our absolute favorite things to do when we travel is browse the streets just looking at the local architecture and any beautiful homes. Montauk just wasn’t that photogenic compared to what we saw in Southampton and the other towns. There wasn’t much of a downtown area and any homes were hidden far away back from the streets. I have never wanted to go to the Hamptons, but I’ve been seeing so many pictures on Instagram this summer. Your pictures make it look so beautiful and cute! I may have to go now. It’s definitely worth taking a trip! 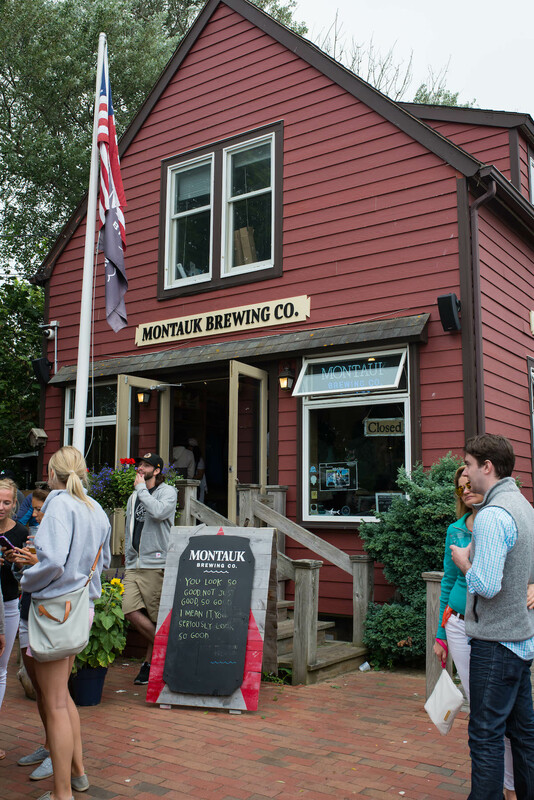 Did you have time to check out Montauk’s Main Street? 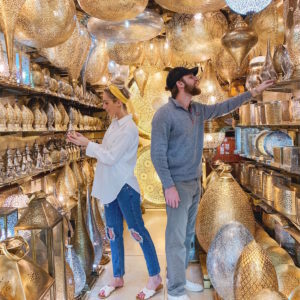 There are actually a lot of cute shops and restaurants on there-there is this amazing taco place and famous pancake house just to name a few. Definitely worth checking out next time. All of the shops and restaurants are local. I also just took a recent trip out there. We drove down it but didn’t really have the time to get out and explore. Next time!! There could never be any regrets with a cinnamon roll – agree and it looks like a good one. 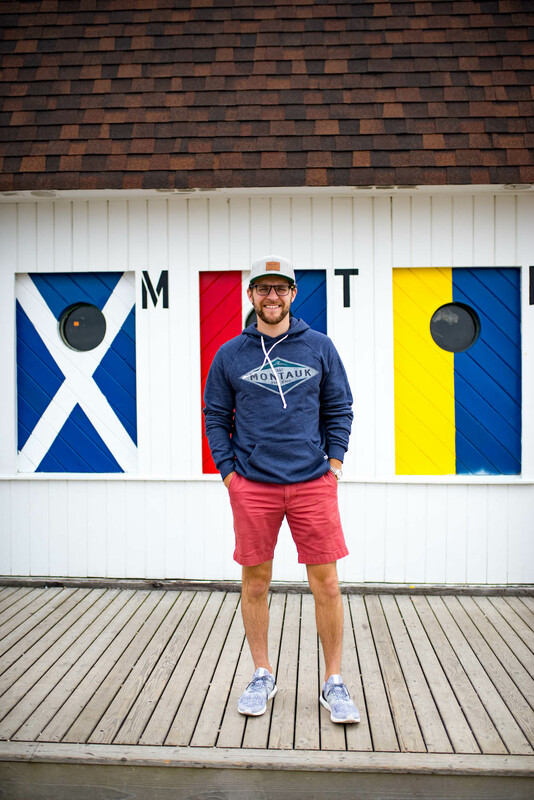 Great rundown of Montauk and love that you told the good and bad! Can’t wait for next weeks blog! Your photos from Montauk are so gorgeous!! This was an amazing post. It looks like you had a great time! 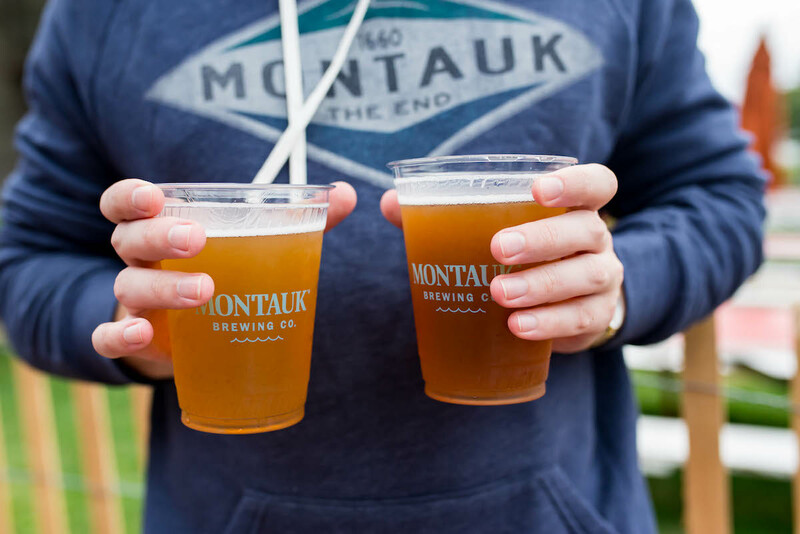 I’ve never been to Montauk but I’ve heard a lot of the same! It’s definitely the trendy spot right now, so it doesn’t surprise me that it feels a little exclusive-in-a-bad-way. I still want to check it out for myself, though! Haha. Love this post + appreciate your realness. I used to go Montauk every summer as a kid, and it was a very straight up “beach town”. Nothing fancy, very low key. The traffic and crowds started to get crazy in the mid-90s so we stopped going, but it seems to have become sort of an extension of the uppity Hamptons vibe. 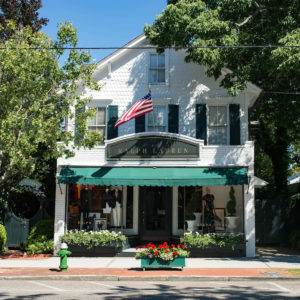 Towns like Southampton have historically been pretty wealthy towns, which I think contributes to the fact there’s a certain aesthetic you won’t really find in Montauk. Totally agreed. Montauk was visually different from the rest of the towns but there definitely still was the uppity vibe. Oh well! I have yet to make the trip, but I think you would enjoy the sunflower fields & lavender fields out East! We’ll have to add those to our list for the next trip! Hello love! So happy you made it out to the east end. After reading this post I wanted to comment soooo much stuff about your time in Montauk since I’ve lived on Long Island my entire life. First of all SPOT FREAKIN’ ON with Surf Lodge. That place blows so hard. It was never like that either until they changed management and it’s such a terrible shame. I have many stories about that horrid place (another time). So Montauk’s history is that it’s an old fishing village. It’s not supposed to be “hip or cool” but of course the people want what they can’t have type of thing. Stinks about the weather you had but it sure is worth going back for certain reasons. My FAVORITE time to go is actually always in the OFF season. It’s not the greatest for the beach but honestly you can go to the beach anywhere on Long Island and it’s all the same but going out there has a different vibe when it’s quiet. It’s so serene and romantic. 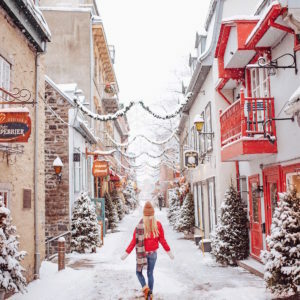 Devin and I especially love to go in late October (and hit up some apple picking or wineries on the way our and/or back from) and my personal favorite is when it’s snowy and quiet in December. 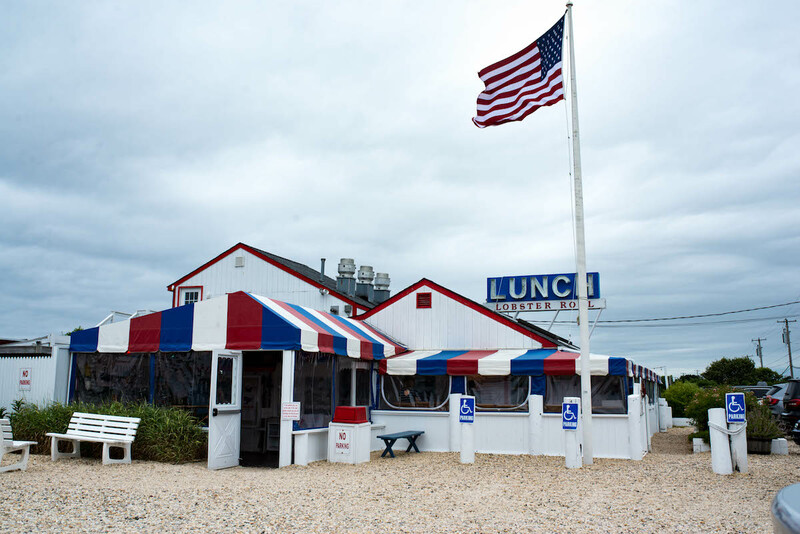 You get to eat at the very very few restaurants that stay open year round (Harvest On Fort Pond is to die for) and take strolls on the beach with sweaters on and grab coffee and listen to the ocean. It’s so peaceful. I also recommend the horse back riding on the beach as well (better in early spring) and hiking the bluffs (Camp Hero). It’s even better if you are a NY State resident and you get a beach permit allowing drive on access (also great to camp). Mostly the point of going out there is to escape and take in nature. Of course it’s an amazing spot to fish as well which goes back to it’s original history. It was never meant to be “pretty”. To feel at “the end” of it all. Such a shame a lot of it has become a “scene” but I promise there are still some hidden gems and local charm to be had.